On Christmas dinner I made home made Roasted Chicken. It is very simple to make. 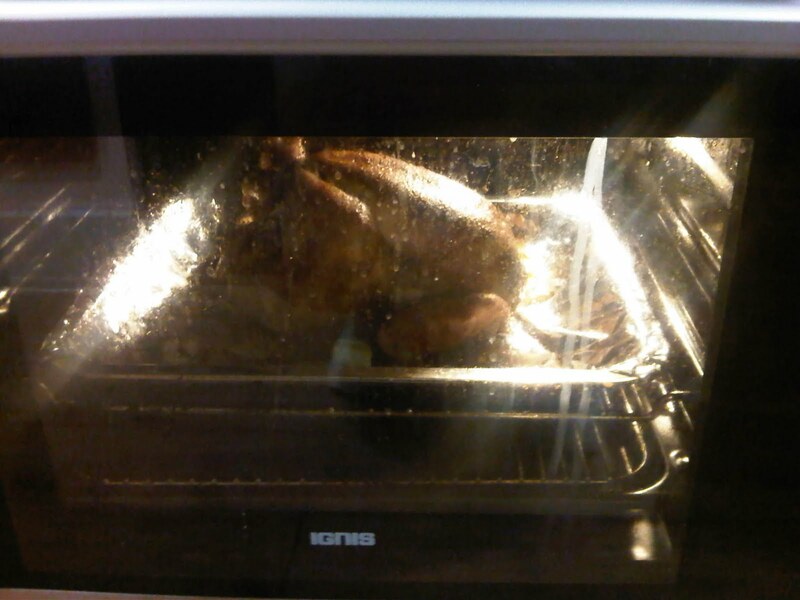 My friends all adore the Roasted Chicken. 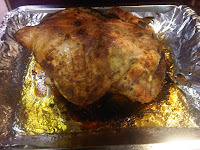 So I am going to share how to make a simple Roasted Chicken. 1. 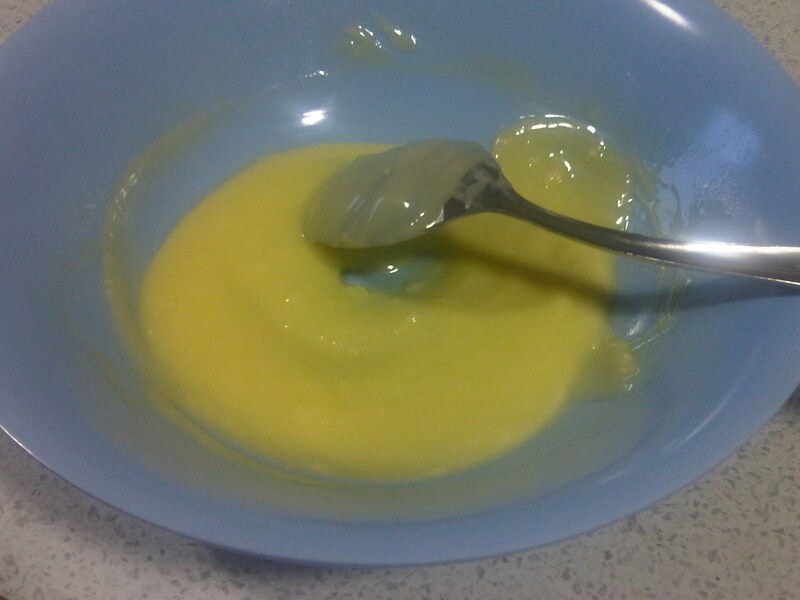 Melt the butter until it is soft and thick. Do not put too long in the pan otherwise it will turn into liquid like oil. 2. Mix the butter with chicken seasoning, ginger, cumin, tumeric, black pepper, garlic powders, and salt. 3. 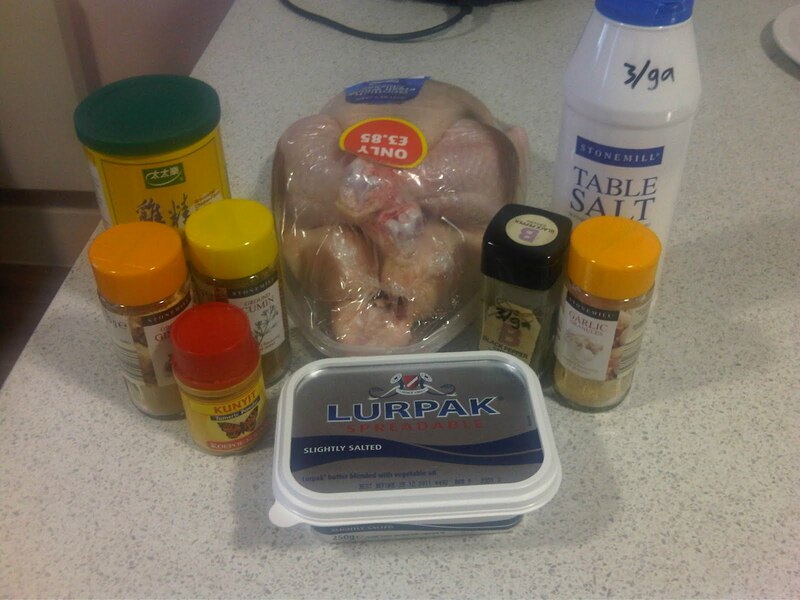 Prepare the one whole chicken on top of a "Plastic Cling Firm". Make sure the plastic is long enough to be able to cover all the surface of the chicken. 4. Cover all the surface of the chicken with the butter mix (in step 1). Make sure that it covers all the surface evenly. Don't forget to put some of the butter mix inside the chicken too. Even out with your fingers or spoon. 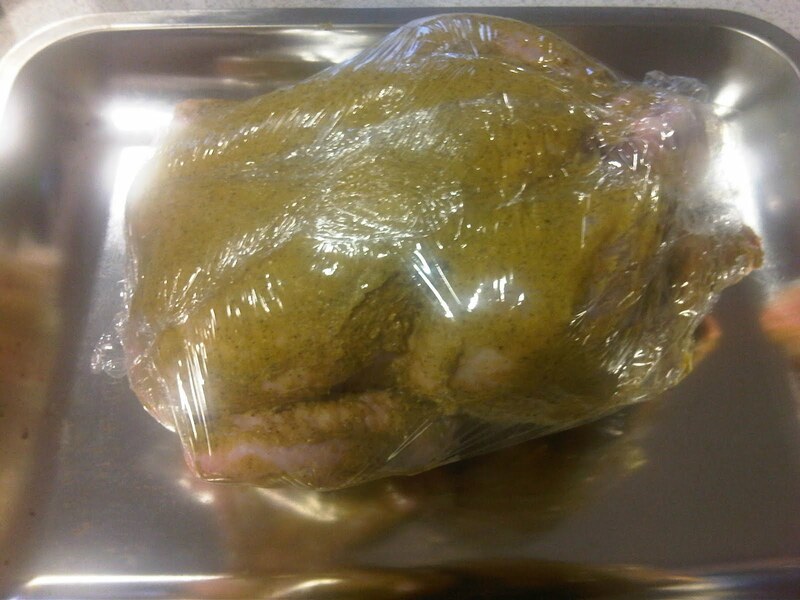 After the butter is well spread, wrap the chicken with the "Plastic Cling Firm". 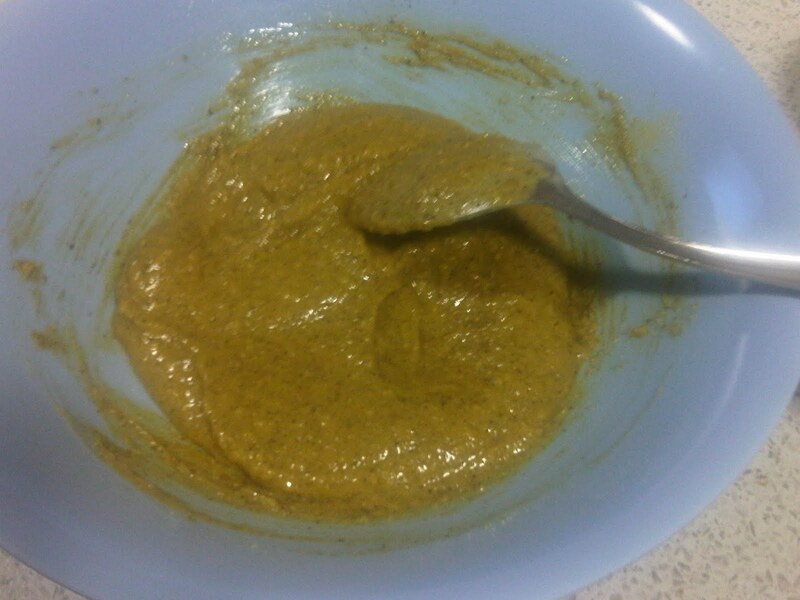 Leave it to marinade for about 2 hours in room temperature. 5. After it is marinade, remove the "Plastic Cling Wrap". 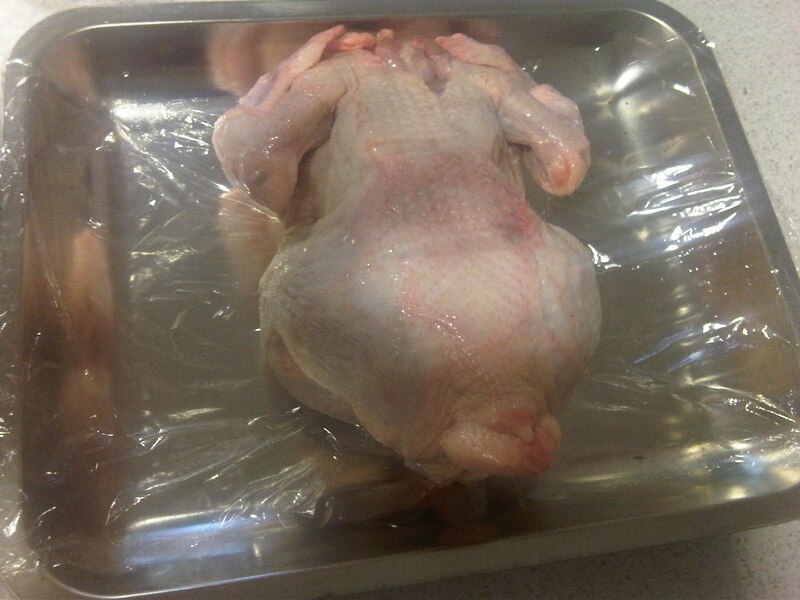 Put the Chicken on top of a baking tray that has been covered with "Aluminium Foil". Put all the stuffing inside the chicken body. Then, put the chicken into the oven for 60 minutes in 200 degrees Celsius. 1. Use rubber glove when rubbing the butter mix so you don't get your hand dirty and yellow because of the tumeric powder. 2. Turn the chicken over when it is half way cook (when 30 minutes) to get all the surface of the chicken evenly cooked and avoiding one part of the chicken to burn. 3. Change the pan for serving. The chicken will produce great amount of oil when it is cooked. So you will reduce the oil when you change your pan when serving the chicken.